Enter your dates to pick from 100 hotels and other places to stay! 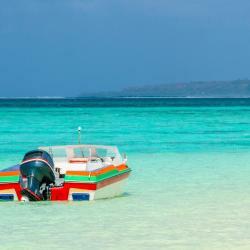 Located in Garapan, Clear Water Hotel provides free WiFi. This 3-star hotel offers ticket service. The tour desk is available to assist guests in planning their days out. 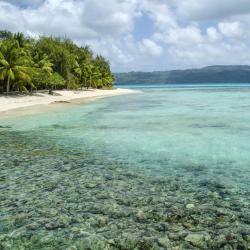 Saipan Beach Hotel features free WiFi throughout the property and views of sea in Saipan. This hotel offers a 24-hour front desk. The units at the hotel come with a seating area and a flat-screen TV. Located in the heart of Saipan, the Star Sand Hotel offers air-conditioned rooms with free WiFi and an on-site restaurant. The hotel is a 2-minute walk from DFS Duty Free T Galleria Shopping Center. Hotel had limited amenities, only 2 friendly staff that talked to us throughout our stay was Monica the housekeeper and the night shift front desk lady. But i like it quite except the last day our new naigbor was very noisy. Wifi was great after they reset router. Boasting an outdoor swimming pool and private beach, Kensington Hotel Saipan is located in San Roque and offers an all inclusive package for guests to enjoy leisure activities, a free mini-bar,... Located more north. Great area for sightseeing historical areas. Relatively "far" from downtown. I don't think we missed out at all though. Rooms and property were recently updated. Really beautiful furnishings and the staff makes you feel important. The pool was very nice and had two surprisingly fun water slides for the older kids and adults, smaller ones for the younger children. Food was tasty and bountiful. Loved this place and the staff! Built in 2016, Serenti Hotel Saipan is located in Garapan, 4.3 mi from San Roque and 2.4 mi from Saipan. Guests can enjoy the on-site restaurant. location and surroundings are good. Hotel Valentino is offering accommodations in Rota. The property has a restaurant. Ocean view; restaurant close by; tables and benches at the ocean front to enjoy the sun rise; excellent WiFi connection. 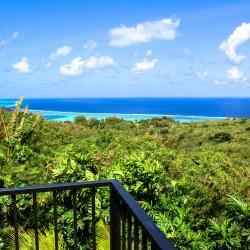 Located in Chalan Kanoa, Romantic Saipan Garden has air-conditioned rooms with free WiFi. Featuring a 24-hour front desk, this property also provides guests with a terrace. It was close to my son's girlfriend's school. Located on the oceanfront of Chalan Kanoa, Aquarius Beach Tower offers free WiFi and accommodations with a private balcony. All suites offer lovely sea or mountain views. The room was spacious and very comfortable. It was close proximity to stores and restaurants. 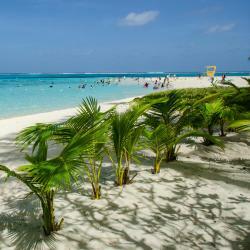 Grandvrio Resort Saipan is a beachfront property that features a large outdoor swimming pool and an on-site restaurant. The A.C. worked and the TV worked. Set in Garapan in the Saipan Region, 4.3 mi from San Roque, Hyatt Regency Saipan features a year-round outdoor pool and water sports facilities. Great location, clean rooms and friendly and helpful staff. 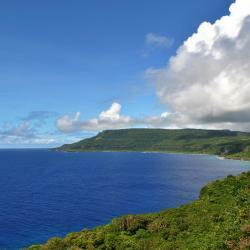 Tinian Lorilynn Hotel provides free WiFi and rooms with air conditioning in Tinian. All rooms boast a kitchenette and a private bathroom. 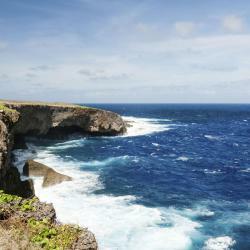 Offering a barbecue and terrace, Fantastic Garden Saipan is located in Saipan in the Saipan Region. There is a restaurant and guests can have fun at the water park. Island Hotel Saipan has rooms in Garapan. Each room at the 3-star hotel has sea views and free WiFi. Guests can enjoy a selection of American dishes in the in-house restaurant. Bed linens and towels were clean. Except for the remove for the TV which did not work. Featuring free WiFi throughout the property, Hotel Galleria Saipan offers accommodations in Garapan, 4.3 mi from San Roque. I didn't know there was breakfast. You can enjoy free WiFi in the lobby, a day spa, restaurant and tour desk at Sun Palace Hotel, located just 3 minutes’ walk from Kilili Beach Park. The location of the hotel was just perfect for my travel this time. Only 1969 feet from Micro Beach, Hanamitsu Hotel & Spa features free WiFi, a sauna and a Wellness Center offering massage therapy and beauty treatments. This location is very close to the main area of town. The spa part of the hotel is really nice and they have great massages, beauty treatments, etc. The rooms for the spa are much nicer than the hotel rooms. The staff is friendly and very kind. Just 0.9 mi from Micro Beach, Himawari Hotel features a restaurant, tour desk and free in-room WiFi. The tour desk can book island tours and arrange bicycle rental for land tours. Very good hotel for reasonable price! Also perfect restaurant and grocery store.